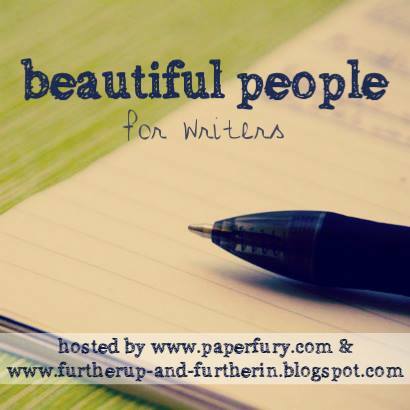 Today you get to read about one of my OTPs for the Beautiful People linkup. So, without further ado, let’s welcome Jeff, and the characters we’ll be interviewing, Jeanette Simmons and Henry Hawk-Stryker! Why don’t you introduce yourselves, since you’ve never been on the blog before. Krissy: Thanks for coming, you guys! Okay, for the first question. How long have you been a couple? Henry: Three months… *grins* But… we know each other for… four and a half… months before that..
Jeff: So how did you two first meet? Henry: *smiles slightly and shakes his head* She not like that… not then. Krissy: Wait, Henry, you forgot that part. Tell us about your powers. Jeff: It seems you pretty much answered my next question too… what were your first thoughts of each other? Jeanette: I… *looks down* I hated him. Jeanette: *smiles at him* I do need you. I just didn’t realize it then. Krissy: *restrains herself from flailing* So, we’ve seen how cute you are, but what annoys you most about each other? Jeanette: He...he’s too optimistic sometimes. And too nice. Jeanette: *leans her head against his* I love you too, stupid boy. Krissy: Okay, you two are way too adorable. Jeff: So you two… opposite or similar personalities? Jeanette: We’re not complete opposites, but...we’re not very much alike. Krissy: And here’s where we get into the deep stuff. How would your lives be different without each other? Henry: I… Before Jeanette… I... I only know family… she my first…. and very best…. friend… ever… I… I not think… *shakes his head* I not think of… life without her. Jeanette: *looking down* I don’t think I could survive without him. I….I was…. Jeff: So.. are either of you ever embarrassed of each other? Krissy: I’m pretty sure I already know the answer to this one, but does anyone disapprove of your relationship? Henry: *shakes his head* No one… we care about. Krissy: Henry, there is one person…. Henry: well… he did… Peter… my… our adopted… brother.. he liked her. Henry: *nods* remember… first night… we play chess… I got uncomfortable… made a bad move? Jeanette: He was jealous of you. Henry: *nods* and… it... feeling jealousy...makes...uncomfortable… It… made it… hard to think.. That why…I made the mistake… in chess. Jeanette: *smiles* We just got engaged. Krissy: You know….you haven’t told me about the ring yet. Do you have a ring? Krissy: But you are making one? Jeff: So to wrap things up we have one final question. if you could plan a perfect outing for the two of you… where would you go? 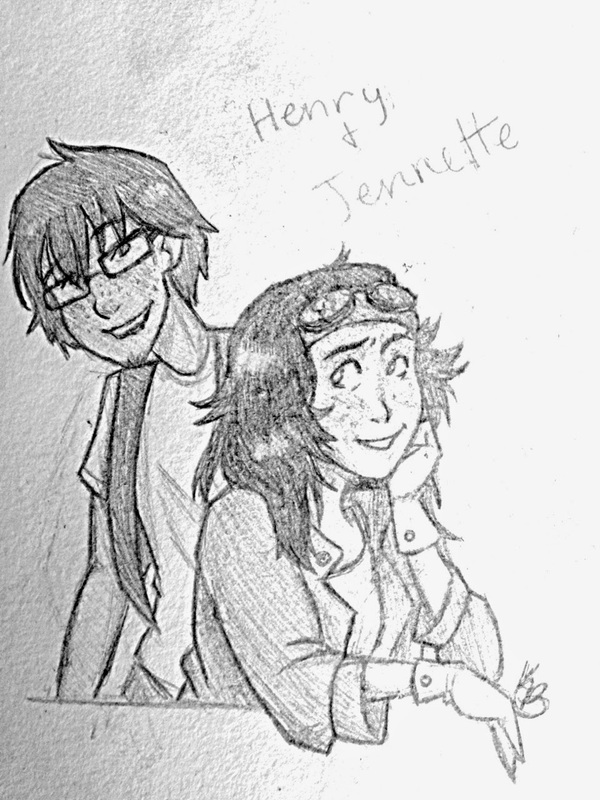 Jeanette: *looks at Henry* Maybe….flying? Henry: honestly… *sighs happily* Anything… or anywhere… with her. Jeanette: *smiles shyly* Flying, or riding the bikes, and then….looking at the stars...like the first night we met…. Henry: *smiles softly* I liked that night…. even… if you not like me then. Henry: *blushes* I always liked you. Krissy: *flails quietly* Well, thanks for coming, you two. And thanks for joining me, Jeff. Check back in soon for the other installments of the Beautiful People Celios Valentines!